Imagine a city with an artistic view thanks to its most important and successful architect Antoni Gaudi. There are countless buildings and works of art of Gaudi in Barcelona city. We can see some symbols in his works. 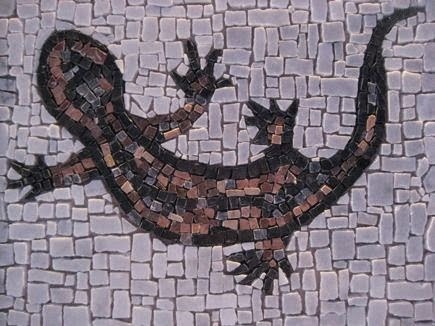 Salamander is one of these symbols of Barcelona. In every shop that you want to buy some souvenirs, you can come across this legendary animal which is like lizard but different from it. In shops, there are key chains, ornaments and most importantly a ceramic design in Park Güell by Gaudi. So what is the importance of salamander in Barcelona city? First of all we would like to give information about this legendary creature in the frame of mythology. The salamander is usually depicted with elemental fire. For many years it had been used by architects to illustrate Pope and monasteries. Fire salamanders give out toxic when they are threatened and this substances are exaggerated by people such as when a salamander twin around a tree it intoxicate the fruit on the tree and when someone eats it, h/she gets really poisoned and die! Another idea about salamander that Egyptian priests used this animal to symbolize of a man who is burnt or died from cold. The salamander is talked about in the Talmud as a product of fire, and it has connection with anyone get involved in its blood will be able to immune to harm from fire. 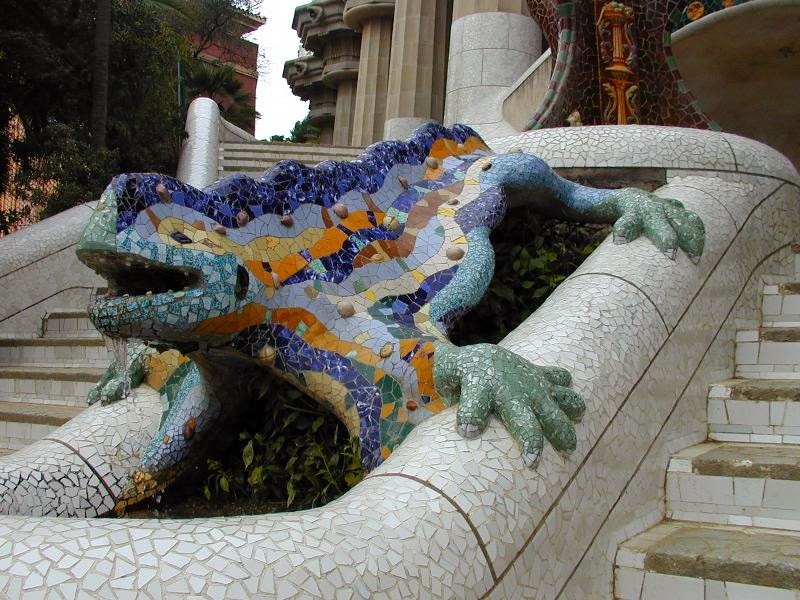 So what is the importance of this ceramic dragon ( salamander) symbol in Park Güell? It's said that this salamander emphasizes the importance of pedestrian access to the collective areas of the garden city, the market and the square. Jethro Tull which is a legendary rock group in the world has a song called Salamander. It's known that the song has references on this legendary creature. Let's listen to this beautiful song.